Imagine going to work everyday in the ocean, to study the plants and animals that call it home. Scientists from Canada, Mexico, and the United States are benefitting from marine protected areas as living laboratories to make better decisions about our oceans. In the Arctic, researchers brave extreme conditions to identify critical habitat for belugas. These whales need protected areas in the far north to feed, mate, and raise their young. 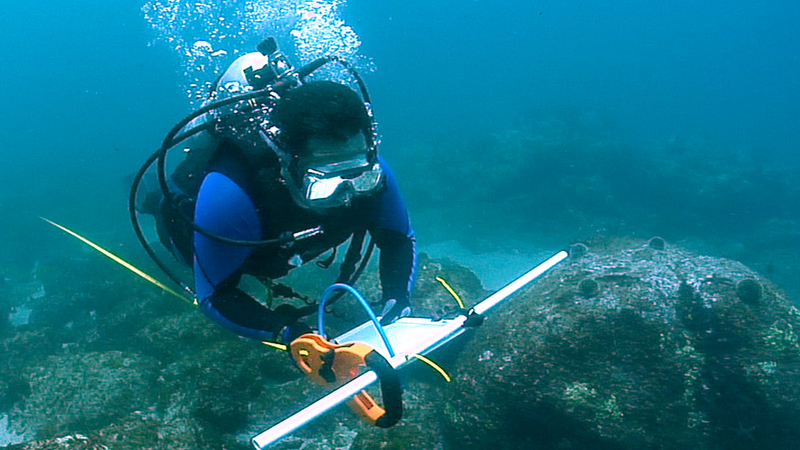 Off the coast of Mexico’s Baja Peninsula, counting and measuring fish helps biologists understand how marine protected areas allow fish to grow bigger and more abundant compared with surrounding waters. In some cases, the contrast between them is astonishing! In the Gulf of Mexico, scientists lower remotely operated vehicles into deep ocean vents to study sea corals and mud volcanoes. These places have been protected so researchers can continue to learn about organisms that live without sunlight. The Northwest Hawaiian Islands are home to one of the largest marine protected areas in the world, where table coral creates a unique habitat for thousands of animals. Scientists compare this pristine area with other parts of the ocean where plants and animals are not protected. Thanks to marine protected areas, scientists make new discoveries every day that help reveal the secrets of the ocean.